Thanks to a resilient local economy and stable Canadian banking sector, in the years that followed the 2009 financial crisis Toronto began leading annual lists of most high-rise projects under construction in North America. While New York has caught up in recent years, Toronto is poised to soon regain its top position. The number of condo developments under construction in the Greater Toronto Area increased to 215 projects and 58,900 units at year-end 2017. There was also a multi-decade high for purpose-built rental construction, which reached 22 projects and 7,184 units. 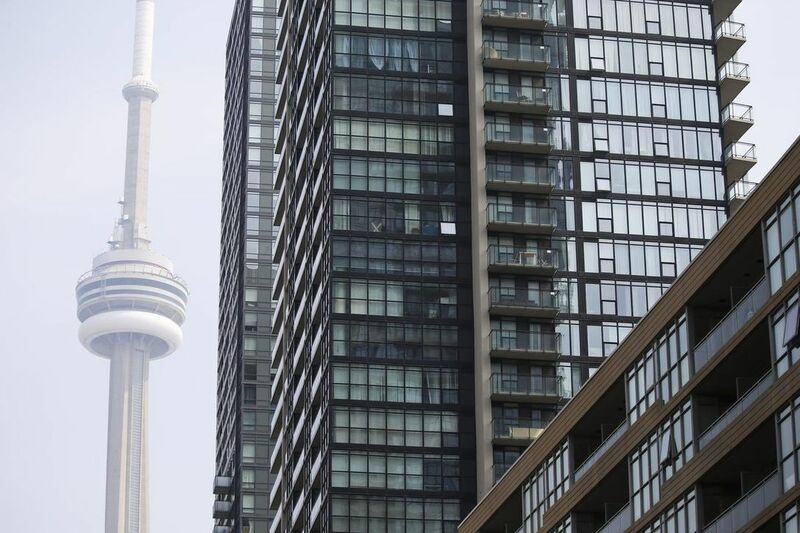 Total combined apartments under construction of 66,084 units was a new record for the GTA — and it’s about to grow even higher. According to Urbanation’s database, 144 condo apartment projects were in pre-construction (i.e. in pre-sales but haven’t broken ground) at the beginning of 2018, totalling 40,148 units. This was the product of a record-breaking year for pre-sale launches in the GTA that saw 32,194 new units come to market in 2017, a level that was 63% higher than the 10-year annual average of roughly 20,000 launches. And these new projects were big — 42% of launches had more than 300 units and 18% had more than 500 units — so not only will there be more units starting construction in the near future, but they will also stay under construction for longer than in the past. Construction will also become more spread out across the 416 and 905 Regions. Looking ahead to this year, Urbanation is expecting a moderation in new launch activity from 2017, but remaining historically high as developers will continue to be encouraged to bring new product into a market that is experiencing record levels of absorption (96% of units under construction and 87% of units in pre-construction are pre-sold), 15-year lows for unsold inventory, and new launch selling prices that grew 30% last year. This tells us that condo apartment construction starts could be hitting new highs for at least the next two to three years. At the same time, the industry has been under-delivering completed units, a phenomenon that could add to construction bottlenecks in light of the number condos entering the pipeline, leading to adverse economic consequences for new projects such as higher than anticipated construction costs and longer than expected development timelines. Indeed, condo apartment completions dropped to a five-year low of 13,513 units in 2017, which was 8,121 units less than the 21,634 units scheduled for delivery at the beginning of the year. This has been a consistent occurrence — since 2010, actual completions have averaged 7,780 units less than the amount scheduled in each year. Recognizing this fact and looking backwards at construction starts trends, Urbanation is expecting actual completions to average approximately 19,000 units per year out to 2020, quite a bit higher than last year but in line with levels from 2014 to 2016. Given these factors, the number of condos under construction in the GTA could easily surpass 70,000 units within a couple years. And this doesn’t account for the swelling number of purpose-built rental projects that will be breaking ground. Urbanation is tracking 108 dedicated rental apartment project applications in the GTA totalling 33,787 units. All told, there could soon be more than 80,000 total apartments under construction, representing a significant source of economic growth for the region, but also a call for more construction trades and greater innovation for the industry to maintain and improve efficiencies.